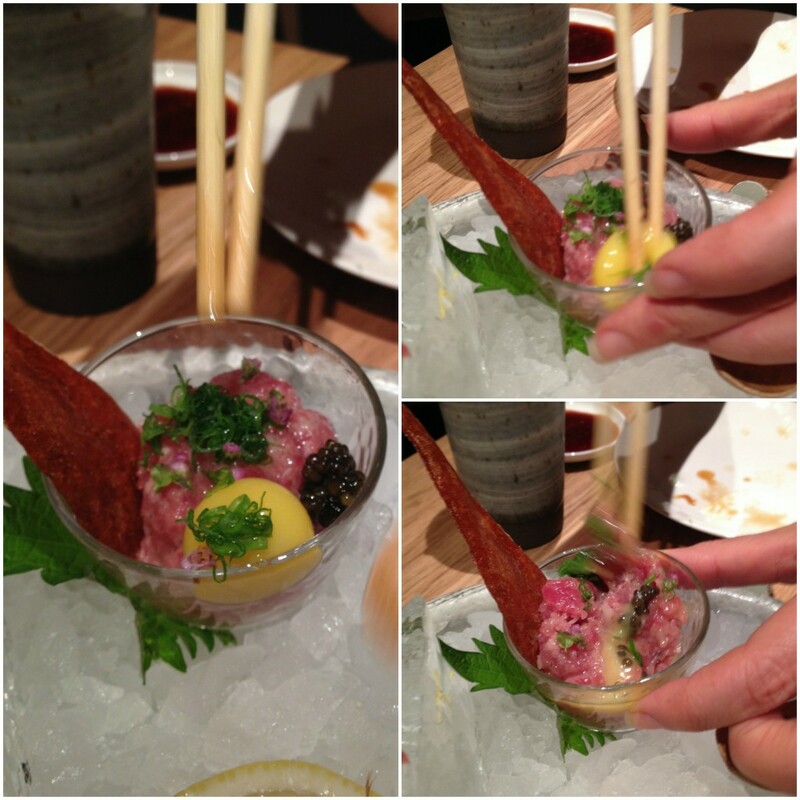 The tuna tartare with oscietra caviar and quail egg yolk (£12.60) was a clever spin on a French favourite. The French tradition was not lost as we ceremoniously combined fish with the egg and caviar to enjoy the tartare in its entirety. This was served with a lovely piece of crunchy crispbread which added a crunchy contrast. Again, this was as marvellous as the previous dishes. 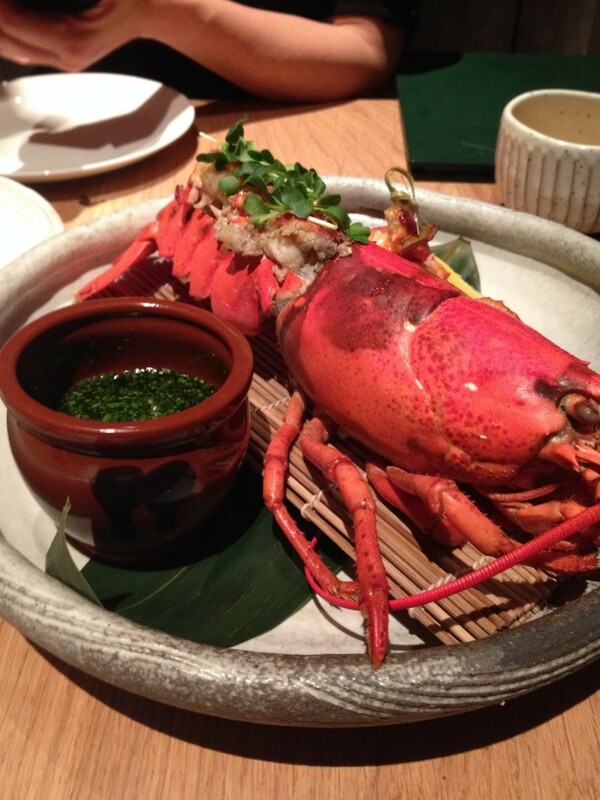 We loved the whole lobster with ponzu and umami dressing (£38.60) as it was delicious. The charcoal effect of the robata grill had permeated the lobster flesh to give it a special and subtle smoky flavour that lingered lovingly after each bite. 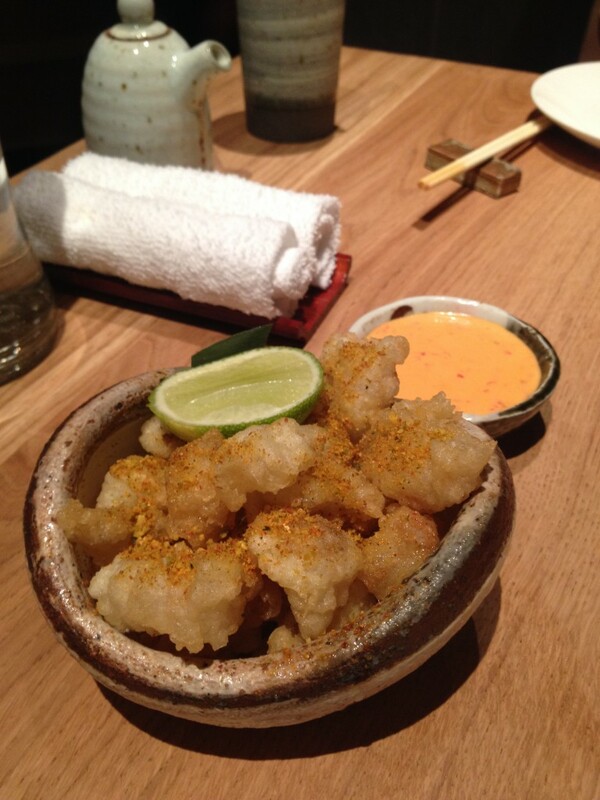 It was also topped with a wonderful ponzu and umami dressing which made it all the more delicious. 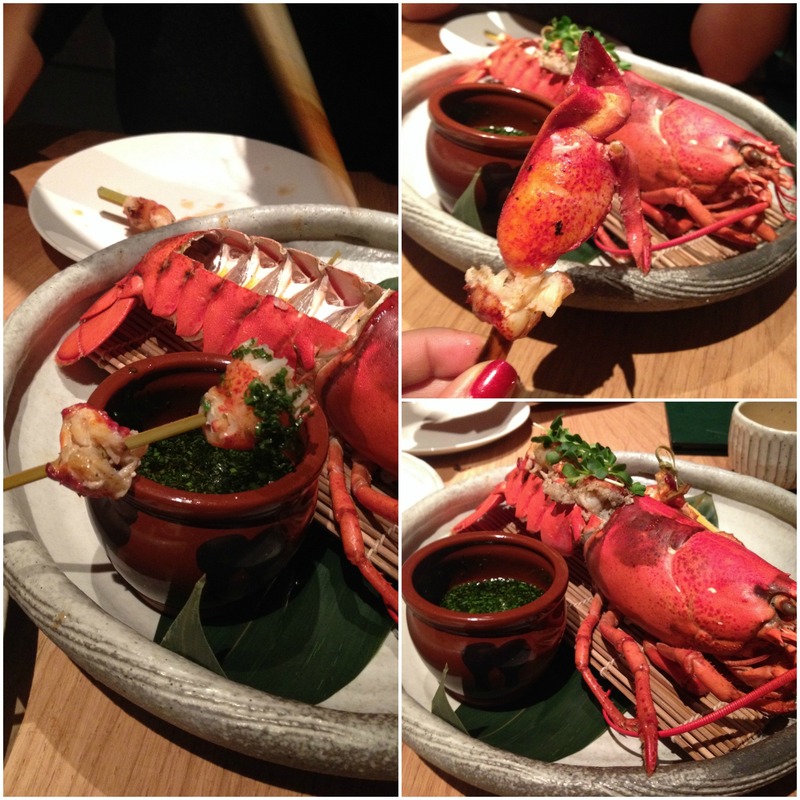 The meat lobster had been cleverly carved out of the shell so that it was easy to eat and there was no need to mess around with the shell. 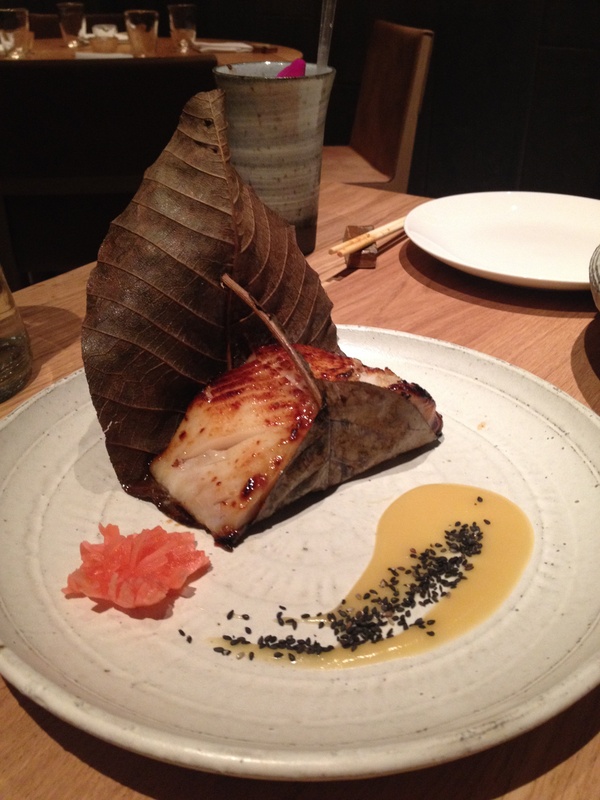 The texture of the black cod marinated in yuzu miso (£31.30) was absolutely gorgeous. 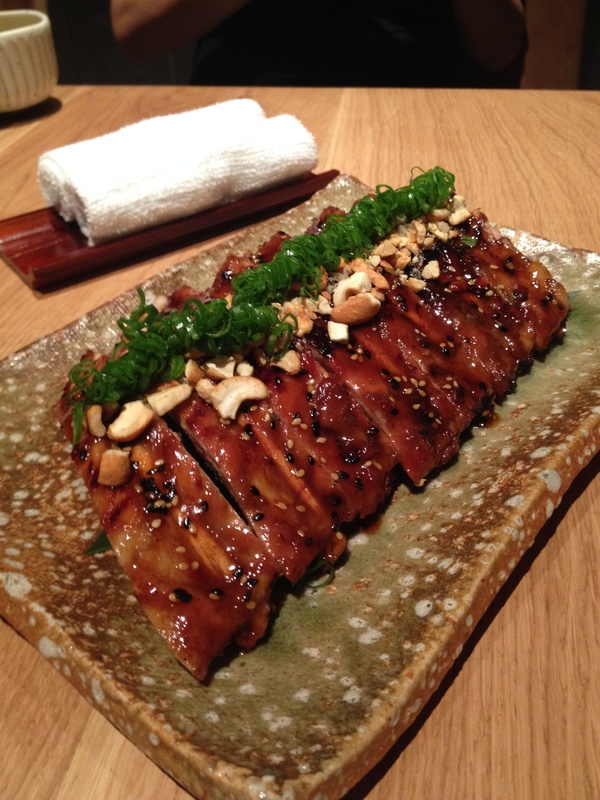 This Roka signature boasted of a texture that was silky and smooth, and flesh that flaked beautifully. The yuzu miso was delicious and gave the fish a lovely caramelisation. To desserts, and a dark chocolate and green tea pudding with crunchy jivara chocolate and pear ice cream (£9.60) did not disappoint. 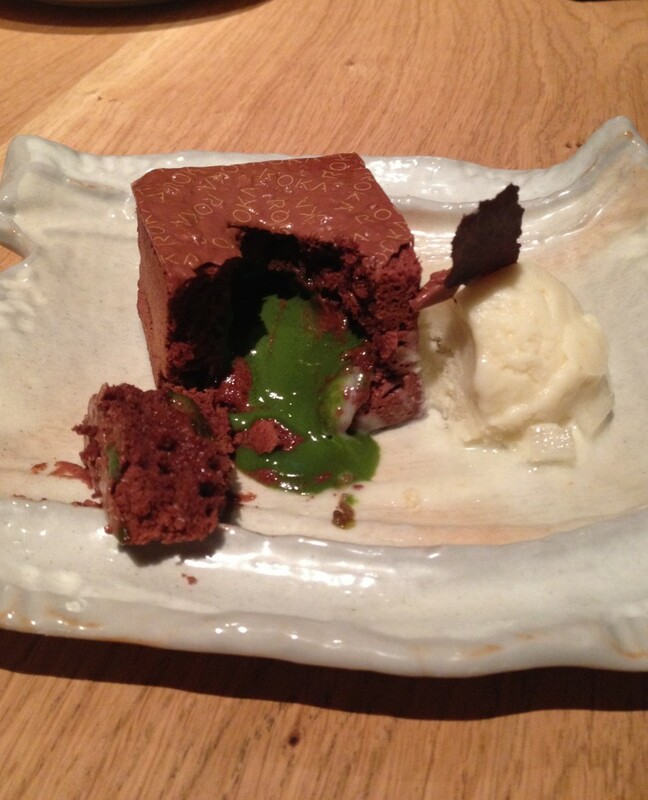 Chocolate on the outside, the inside of the pudding contained a molten green tea centre that glowed an emerald green colour. 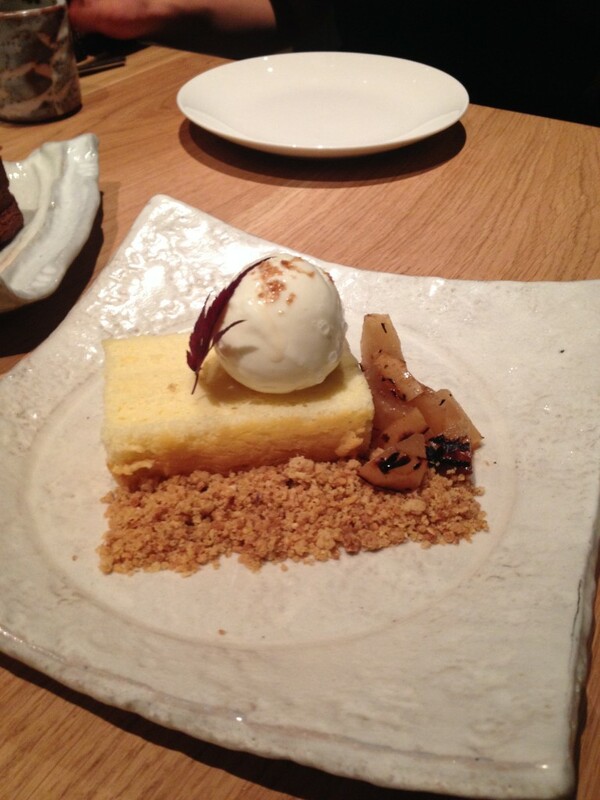 This dessert was deliciously comforting, rich and decadent, and paired well with the refreshing sweetness of the pear ice cream. 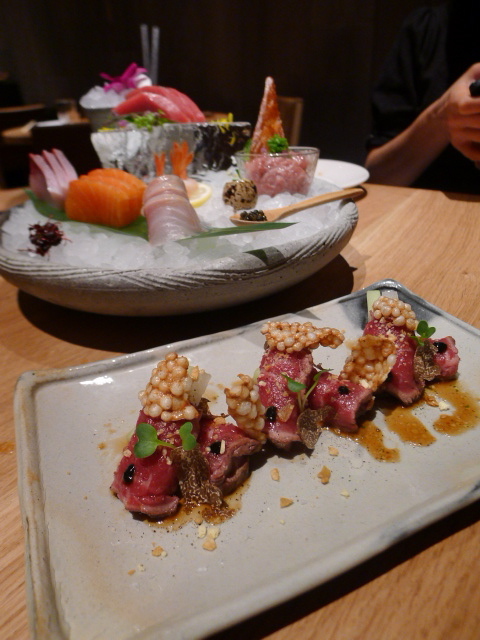 This was Japanese food of the highest order with a menu that provided a wonderful balance between the traditional and the contemporary. 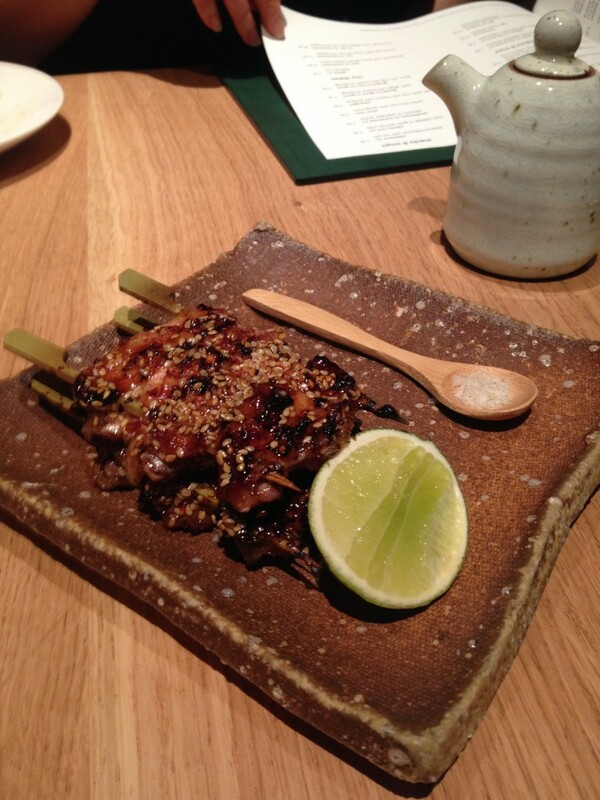 The quality of the produce was outstanding, and with the precise cooking at Roka Aldwych, the results were highly exciting. The service was knowledgeable and accommodating to round off an excellent experience from start to finish. The bill can stack up as there were so many items that can tempt you into over ordering, so choose carefully if you’re on a budget. 1) The food is superb. 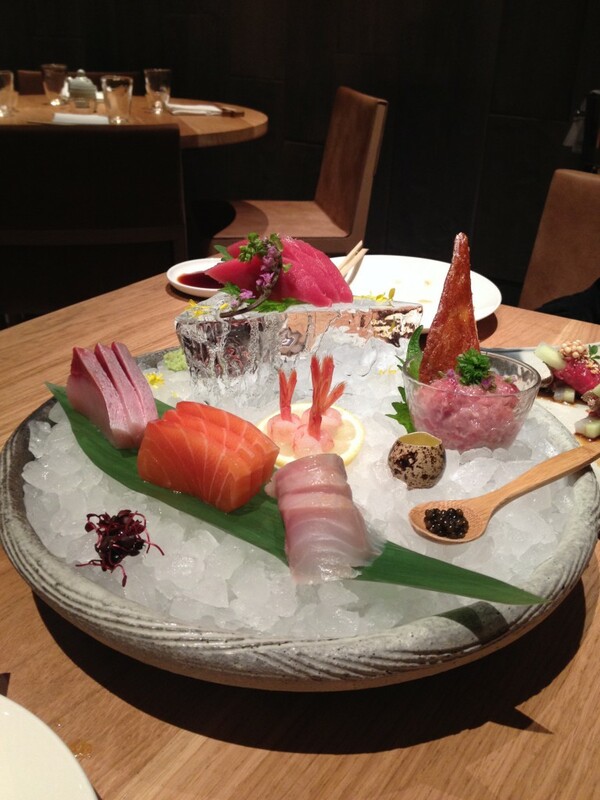 2) The yellowtail sashimi is a must try. 1) Prices can add up. Price range: Robata grill £4.90 – £69.90 , sashimi: £4.90 – £26.60, maki rolls £4.60 – £9.60, tonkusen (specials) £9.60 – £29.60. Excludes drinks and service.